Let's be honest. We've all been sitting in our office or at our desk trudging along through a bad work day, so we decide to play a game to get our minds off of it, or just to kill time. Maybe you want that new high score on Fruit Ninja. Maybe you want to beat your friend on Trivia Crack. Believe it or not, these games are giving way to a new trend to keep customers involved at trade shows. 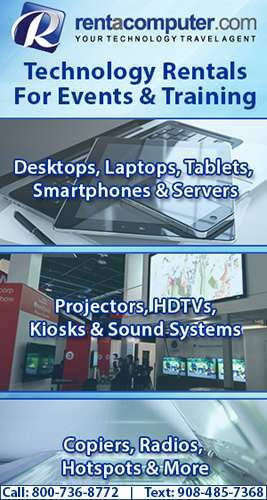 That might sound a bit far-fetched, but the same exact way we play games is being used today to make trade shows and business events more interactive. Finally! 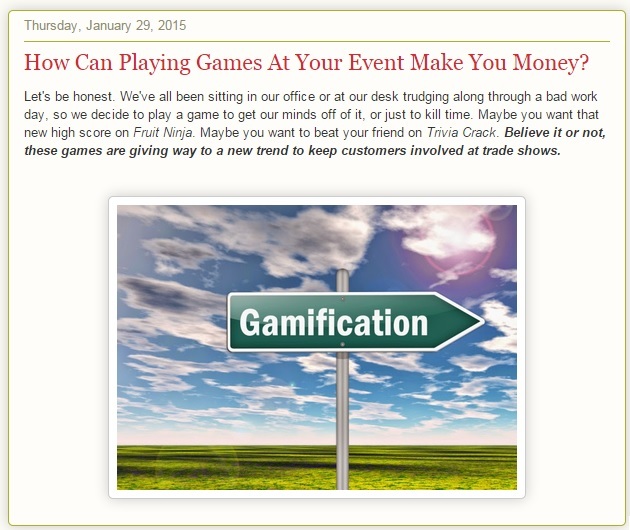 ...Continue Reading On TechRent.Blogspot.com- How Can Playing Games At Your Event Make You Money?